With 14 years of Major League Baseball pitching experience under his belt, it was a no brainer for San Diego’s AA affiliate in San Antonio to call on Tim Worrell to fill the shoes of former Missions’ pitching coach Jimmy Jones, who was summoned to become the new Padres bullpen. Hired by the parent-club San Diego Padres in 2010, Worrell had been working in Peoria, Arizona with the organization’s players in extended spring training and on rehab assignment prior to reporting to the Texas League team. 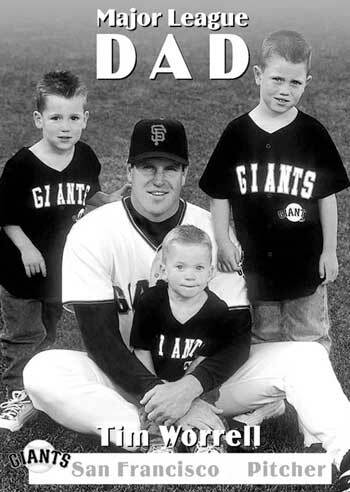 Having to leave his wife and six boys back home in Phoenix to take on pitching coach duties in San Antonio, it wouldn’t be long before Worrell would be adopted by his new baseball family of international pitchers led by Aussie Hayden Beard. the Australian Baseball League’s Canberra Cavalry. During the 2011-12 Cavalry season, he earned himself ABL Player of the Week honours and a team-leading five wins with a 2.82 ERA. Heading into 2012 Padres Spring Training Camp, Beard looked radiant and as confident as ever. After leading High-A Lake Elsinore Storm to a 2011 Cal League Championship, it was natural for the right-handed hurler to saddle up for a promotion to Double-A San Antonio Missions. 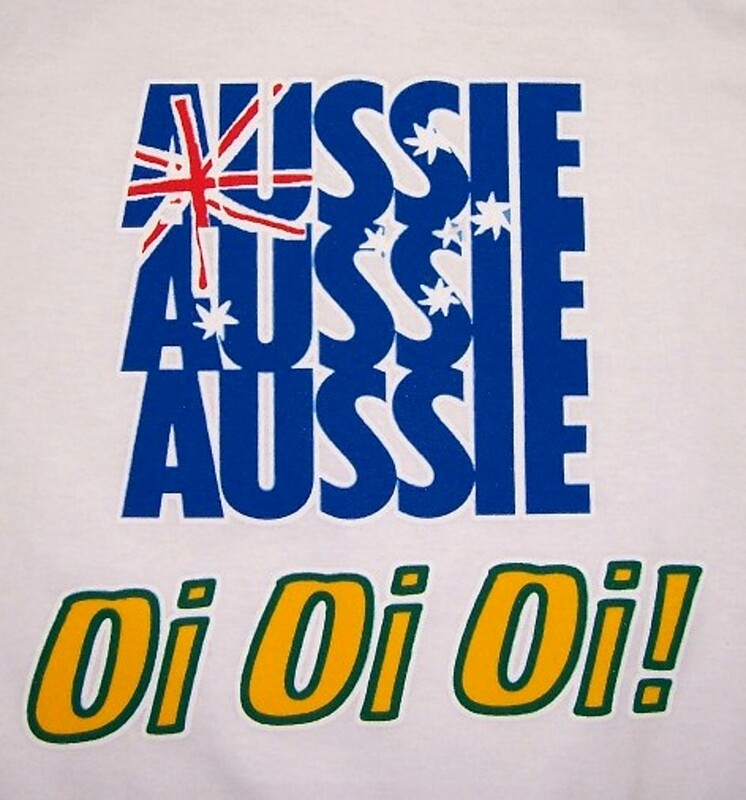 Although there were a few bumps in the road during the seemingly rough ride, the Aussie pitcher finished strong with a 6-5 record in just over 119 innings of work. Starting in 19 games, Beard gave his team a chance to win every outing. However, he relished after the All-Star break in his 12 bullpen appearances during which his strikeout totals accelerated to 69. We caught up with family man Tim Worrell in the San Antonio Missions’ dugout recently and discussed how Padres pitching prospect Hayden Beard’s best years may have yet to come. Roberto: 27-year-old Aussie pitcher Hayden Beard is a late bloomer because he had to sit out for three years due to nerve damage in his arm. 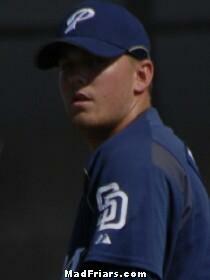 The Padres obviously have faith in him by sending him your way in Double-A San Antonio. Having said that you reached the prime of your career at age 31, do you see some parallels between the two of you in showing him that there is light at the end of the tunnel? Tim Worrell: Yeah, sure. Again, I never try to tell these guys where their careers could finish at. I’d be a dummy to tell them that. First off, he’s got a great live arm and great movement on his pitches. Sometimes he struggles a little bit with control and that obviously puts us in trouble. When we’re behind in the count regularly, it puts the hitters in hitter’s counts. But he’s definitely starting to get some of these approaches knowing that is an area he needs to work on. And that in itself ends up helping to control some of the results that end up happening to us. (You) can’t always control them all, but it does put us in a better position. And he is still working on fine-tuning his game. It wasn’t long ago that we sped him up a little quicker to the plate without giving up quality of stuff so that he could hold runners on first better. So there are definitely physical things we need to do and he needs to do to make his game better. But a lot of it is just believing and trusting his stuff. Roberto: Watching his roommate Miles Mikolas get the call-up to the Padres, rubbing shoulders with last year’s surprise in the San Diego bullpen, Erik Hamren, and this year’s sensation, Nick Vincent, must have been inspirational for Hayden with the realization that he could be next. Having watched him pitch in Australia and in Lake Elsinore, the fact remains is that Hayden Beard is a great competitor. Now that he is paired up with you in San Antonio, I think it’s an awesome combination. I’m really happy that you guys are really able to work together in developing his craft. Tim Worrell: Yep. And you brought up probably his number one attribute and that’s his competitiveness, which is probably the most important thing. Because a true competitor never gives in. We have to remind ourselves at times maybe that we are that. But they don’t give in, and they are always looking to get better and always looking to get the job done. 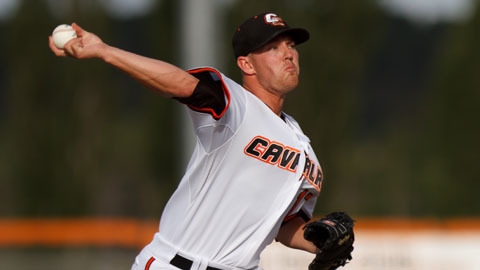 Hayden Beard pitches during the MLB offseason for his hometown Canberra Cavalry.